Shamrocks, Saints and Standing Stones is Available! Just in time for St. Patrick’s Day, that most Irish of celebrations, StarkLight Press is happy to announce that our Shamrocks, Saints and Standing Stones anthology is available! 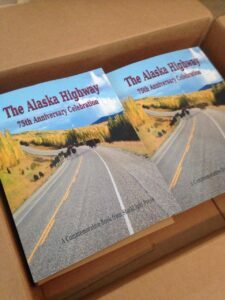 to get your e-copy tonight- physical copies will be available shortly! 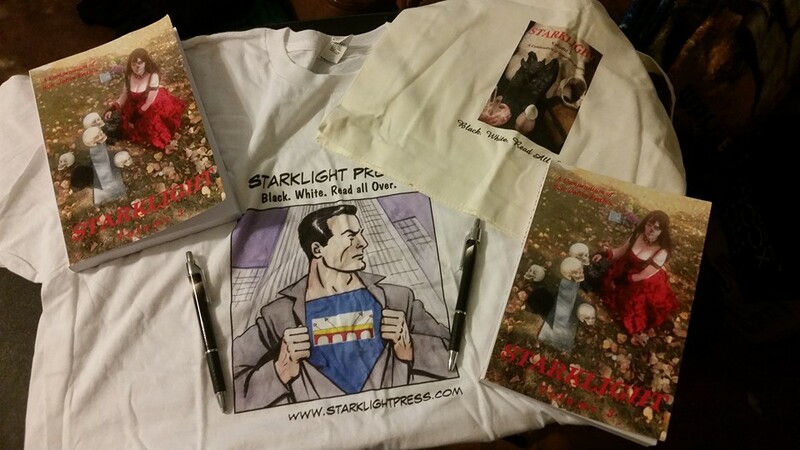 StarkLight 3 Prize Packs Arrive! Congratulations to the winners of our third short story contest who just received their long-awaited prize packs! 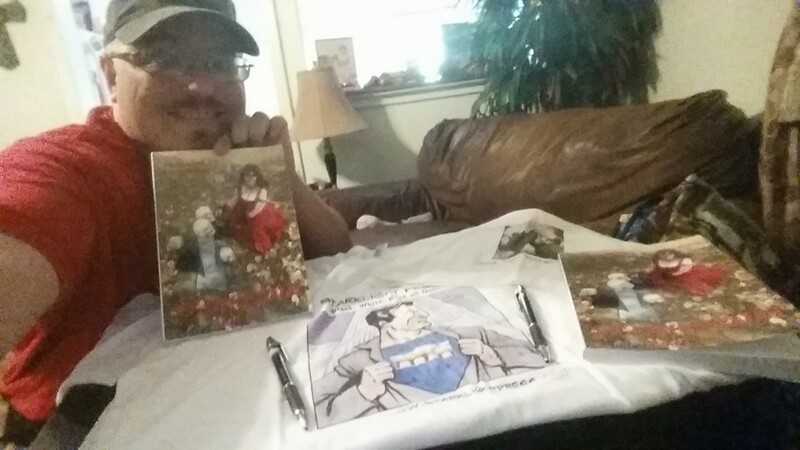 Here’s Van Fleming in Wichita Falls, Texas, with his super StarkLight Press merchandise and his copy of the third short story anthology. 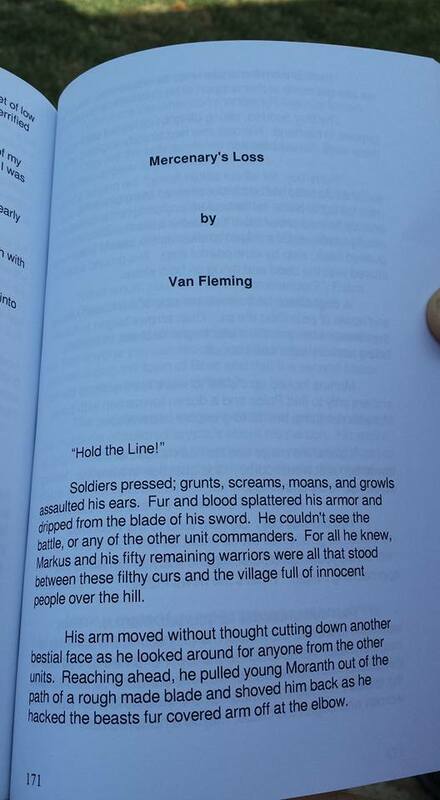 His lovely wife, Laura, snapped this momentous picture of Van’s name in print- a great inauguration to a fine writing career! 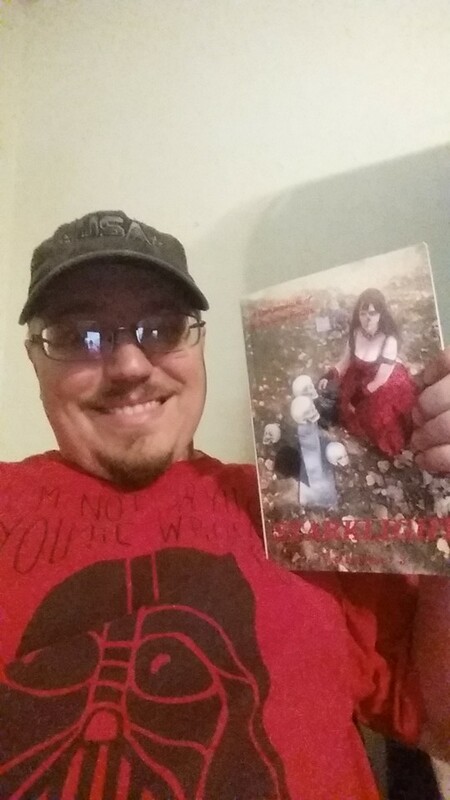 StarkLight Press is happy to promote first rate fiction from first time authors. No matter where in the world you might be, if you make innovative, thought-provoking fiction, horror, fantasy, sci-fi or speculative stories, we are happy to help you share it with our wide audience! 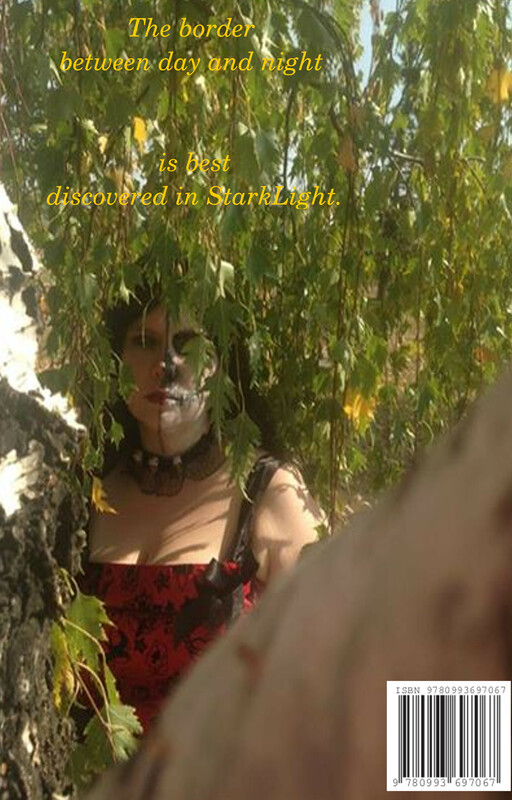 Look for Van’s next installment in his thrilling worldscape, appearing in StarkLight 4, as well as works from Will Norton, Virginia Carraway Stark and more! The first thing I remember writing is actually a story that takes place after this one where Markus is a major support character. Imagination. Seeing something in real life and spinning it on it’s head. Change the setting, or style or even the time frame and see what happens. Even a line from a song can give the spark to start a fire and turn into a full blown idea. Markus is a mercenary in a war against an ancient evil. Wolves shaped with magic and given intelligence. A weapon for a war long past that has become the bane of modern times. This story leads up, telling how he rose to the lofty position we find him in in a later story. Since I was a child (my wife would say I still am) I have always found swords and magic more interesting than the wild west or a galaxy far far away. What would it be like to ride on a dragon? What is the cost to wield the great powers of magic? Can a small group of people truly be the catalyst that changes a generation? Day dream, fantasize, set no limits. The stories you write come from the imagination, and that is fueled by an open and eager mind. And never let anyone tell you it’s not good enough. Only you can say that. Clogging, Line Dance and Gaming as well as the occasional anime with my teenage daughter. A few names and descriptions have come from characters of my friends, with their permission of course. Some of the sword fights in my stories have been inspired by my early martial arts training, and many of my values can be seen in the main characters. A respect for life, a need to help others and the need to do the right thing, no matter what. I appreciate the opportunity you guys gave me to get my story out there and to also spread my wings into a little science Fiction in the GAF Universe. 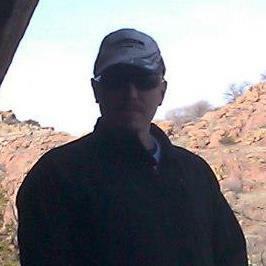 Van Fleming is a Texas author who is one of the winners of StarkLight Press’ Third Short Story Contest, as well as an upcoming inductee to GAF Mainframe writers’ circle.